YouTube Playlist to MP3: Best 10 YouTube Playlist to MP3 Converters for Mac, Windows, Android, etc. Download YouTube Playlist to MP3 on Mac, Windows, Android, etc. "Is there any best and quickest way to download the whole YouTube playlist to MP3 at once?" Yes, what you need is just a YouTube playlist to MP3 converter. It will be easy to download the entire YouTube playlist and convert it to MP3 with a reliable YouTube to MP3 playlist converter. You can find a number of online and free YouTube playlist to MP3 downloader all around the Internet. If you feel it is hard to choose the best one, you may try to read the easiest way to download and convert YouTube playlist to MP3 provided in this article. With the help of iTube Studio YouTube Playlist Downloader for Mac (windows users click here). you can easily free download and convert YouTube playlist to MP3 on Mac (macOS 10.13 High Sierra included). This program supports downloading multiple videos from YouTube channel, playlist, user page and category in one click. What's more, it comes with powerful conversion function allowing you to convert the downloaded files to many popular audio formats like MP3, M4A, WAV and MKA. With the Playlist button, you can download the entire YouTube playlist, channel, and category to any video or audio format complete free. Support directly downloading and converting YouTube to MP3 format. And quickly export the download files to Devices or iTunes. Allow you to download videos from YouTube, Vimeo, Dailymotion, Metacafe, Myspace, Facebook, VEVO, Break, and 10,000+ more sites. Converts existing or downloaded video files to MP4, MOV, WMV, MPEG-1, MPEG-2, AVI(XviD), 3GP, MKV , MP3, M4A, etc. Record any online video from any online video page even those "unable to download" sites. Private Mode to fully keep your video downloading information under protection with a password set. Click above "Free Download" button to get the .dmg file. After that, follow up the installation wizard to finish installing the program. When completing the installation, the program will launch automatically. Go to YouTube.com and find the channel or playlist, you will get a "Download" button appears on top left corner of every category. Just click the button and select "Playlist" option to get a pop-up window in which you can select the videos you want to download. Check the videos you want. And you can also customize the video quality. Then click the "Download" button to start video downloading. When you have finished downloading all videos you want, you can click the "Add to Convert List" icon on the "Download" tab to add the video to "Convert" tab to get ready for format conversion. Next, click "Convert" icon in "Convert" tap to get the format list window. 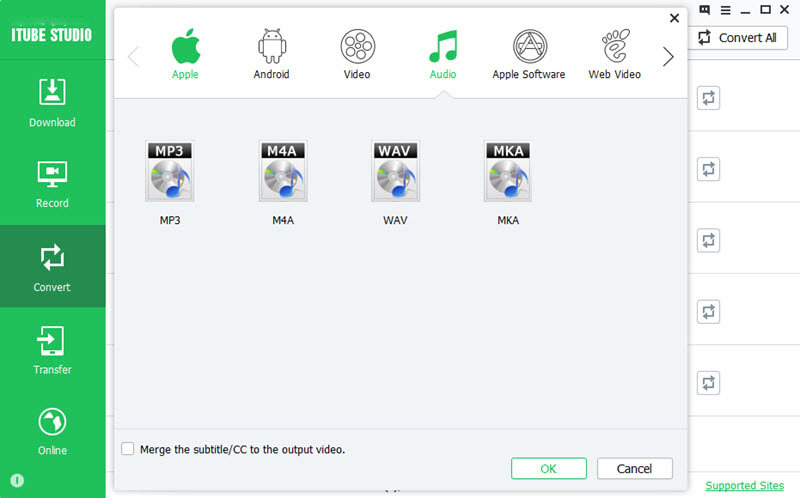 Then, click the "Audio" tab and select MP3 as the output format. 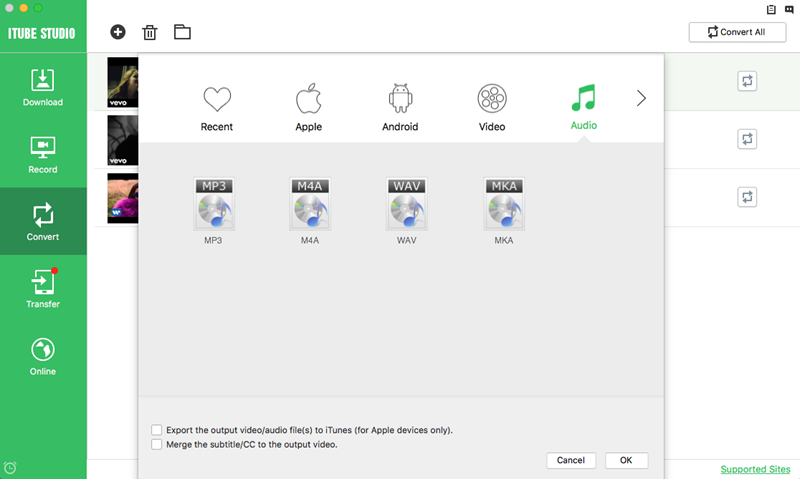 If you want to add the output files to your Apple device, you can check the "Export the output video/audio file(s) to iTunes" option. Then the output file will be uploaded to iTunes freely and automatically when the conversion is completed. Lastly, click "OK" to start the conversion. If you are using Windows PC, iTube Studio YouTube Playlist Downloader for Windows version is a great helper for you. It has an inbuilt browser allowing you to directly access your YouTube playlist. 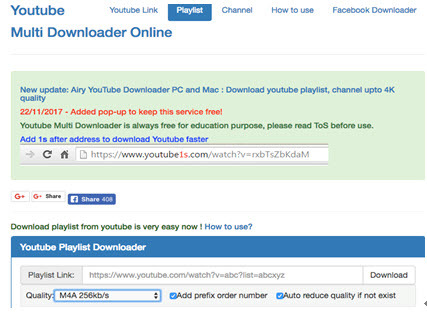 Adn you can simply download YouTube playlist in 1 click. Its conversion feature enables you to convert the downloaded YouTube playlist to MP3, MP4, MKV, WMV, and more formats. Just follow the below guide to convert YouTube playlist to MP3 on PC. Run the YouTube playlist to MP3 converter on your Windows PC. And then click the "Online" tab to open the built-in browser. Now you can find and access your lovely YouTube playlists. When you open the YouTube playlist, you will see a "Download" button on the playlist window. Simply click the button and choose the "Playlist" option, then select the videos you want to download in the pop-up window. And then customize the output settings. And click "Download" to start downloading the YouTube playlist. After downloading all the videos you want, you can view then in the "Downloaded" tab. And you can click the "Add to Convert List" button to put the video to "Convert" tab. Then hit the "Convert" icon on the right of your video in "Convert" tab for changing the output format. To convert YouTube playlist to MP3, click the "Audio" tab and select MP3 in the opened window. And then click "OK" to start the conversion. This is one of the most popular YouTube Playlist to Mp3 downloader online apps that supports as many as 1070 video sharing websites. In fact it is regarded as the most advanced online YouTube playlist downloader tool. With the added advantage of being free and having an easy to use interface, this site should be a top choice. Majority of users responds positive about this program due to high quality videos as well as ease of downloads. 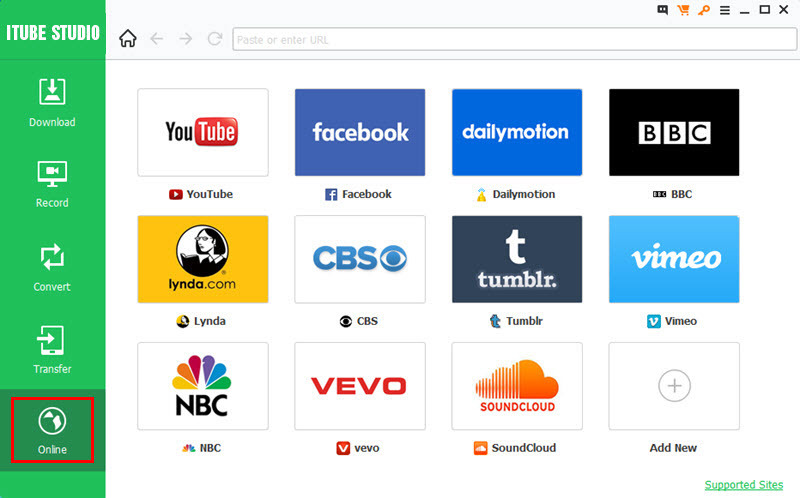 This YouTube downloader supports many sites including Vimeo, Instagram, and SoundCloud among others. The download process is super easy and users have had the same opinion as well. 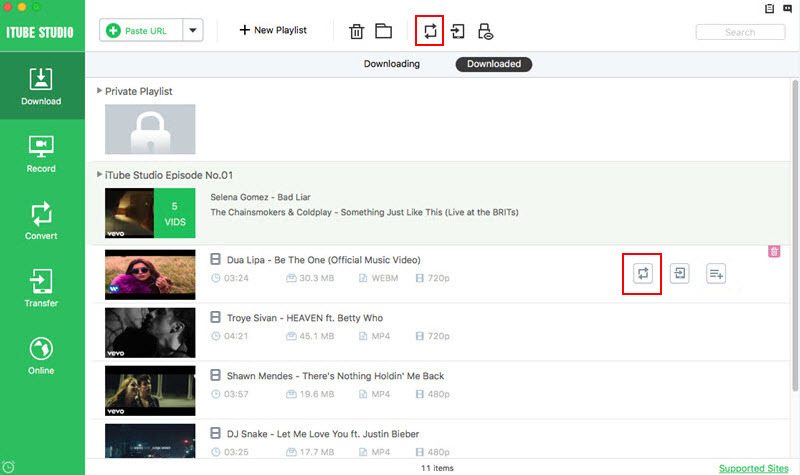 Users can select their preferred settings before downloading their playlist. It is however slow in slow Internet connection according to other users. This is a popular new site that allows users to download audio from YouTube videos with ease. It is an app that perfectly works on many other common sites apart from YouTube. 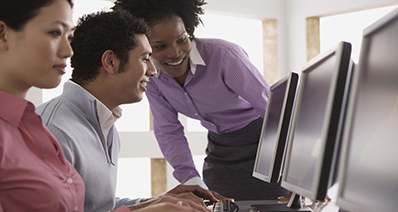 Many users like the software because it allows them to convert their files to desired formats in simple and straightforward steps. Some users have complaint of slow download speed and connection quality. 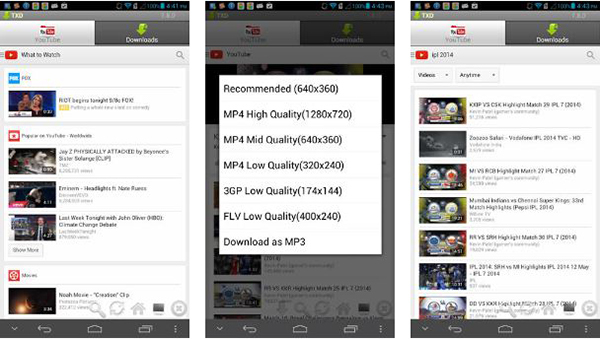 YouTube Multi Downloader Online app is a smashing online downloader that not only supports downloads from YouTube but also from popular sites like VEVO among others. 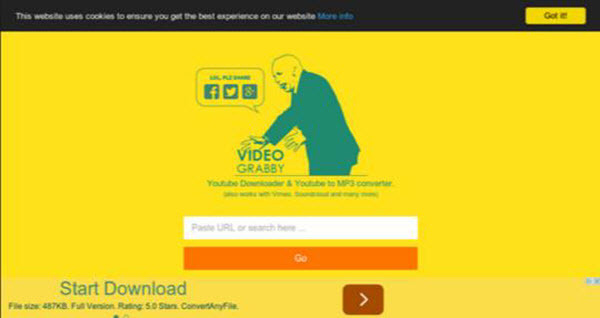 You only need to paste the respective URL and choose the quality before finally downloading your videos. Users have rated this tool as one of the best due to good interface and many useful features. This is no doubt an amazing online downloader tool for multiple videos from several popular sites apart from YouTube. The download process is quite easy and has gone down well with many users across the globe. There is also an option to select the quality of your playlist before downloading as you can choose normal, HD as well as full HD resolution. This is no doubt a powerful YouTube playlist to MP3 downloader for Android. The tool is capable of downloading both videos and music videos with ease. Thanks to the intuitive and absolute no-brainer interface characterized by clear icons and steps. With this amazing Android app, you can download multiple videos at the same time without the need to wait for queues. 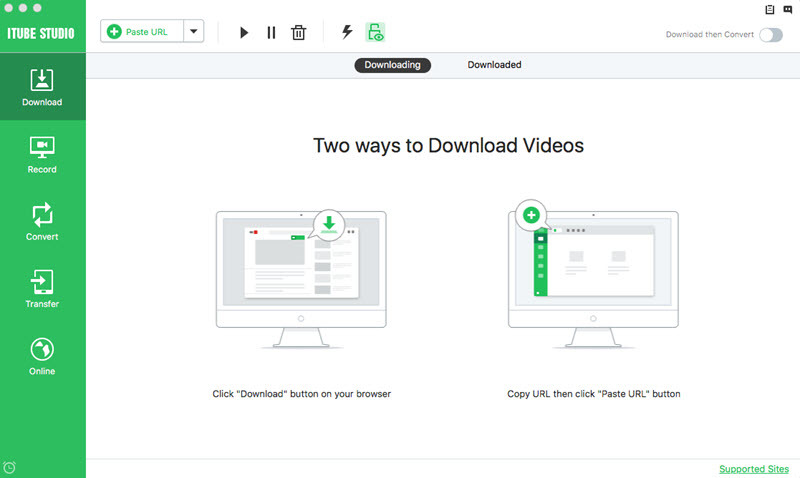 The download steps are super easy and supports downloads not only from YouTube but from other popular video sharing platforms. You can also download videos off Facebook and this is definitely good news for the fans. This is an excellent YouTube downloader for Android devices featuring amazing capabilities for a good user experience. Considered as one of the top video downloaders, TubeMate has an ever-growing number of users across the globe. You will definitely have your favorite videos and music in your Android device for watching when you are offline. It offers quality resolution that fits well with your device including HD and users can also choose their preferred options. This free yet powerful app has a good simple search option by keyword and is quite easy to navigate through. 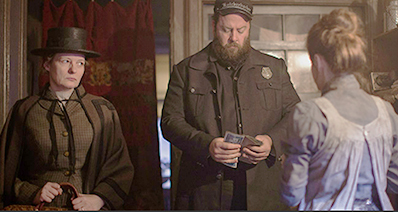 However, fans have complaint of the presence of display ads. This is a great YouTube video downloader for Android, an app developed by XDA. The program has a simple and user-friendly interface making it absolutely easy for users to navigate through the processes. Apart from downloads, users can also stream and share videos and music with friends on video sharing sites like Facebook and others. The app also converts your videos automatically to MP3 for listening and you can set the video filter to suit your preference. All the formats available on YouTube are supported and users can copy and paste download links from other sites. App display ads is an issue to many users. 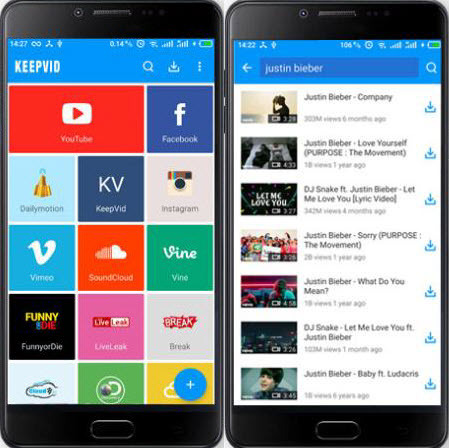 This is one of the highly rated Android YouTube video downloader featuring useful capabilities that makes downloading of videos easy and enjoyable. Users can download videos from YouTube and instantly convert them to MP3 files with amazing fast download speed. If you stopped downloading a video, you can resume without having to start it over again. Another excellent feature is the ability to download multiple videos at a go with no interruptions at all. There are also various popular formats and resolutions supported as well as a built-in player for video streaming. The problem of showing ads at the bottom is a nuisance to most users. This is a great YouTube music downloader app for android devices with good features including some that are new like sharing to social networks. This tool is majorly considered one of the best tools that works well regardless of a slow internet connection. WonTube allows automatic resume or re-download once it reconnects to the Internet. Although users find it easy to use, they have complaint of the interface as being poor and outdated. How-to > Download YouTube Music > Download YouTube Playlist to MP3 on Mac, Windows, Android, etc.